This marks our first article on Whiskystats.net! And before we start doing what we intend to do on this platform, we might tell you what it is. In its essence, Whiskystats is a database of Scotch-Single-Malt-Whiskies and their corresponding auction prices. We collect this data, we store it and then we lay it right to your fingertips. 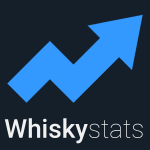 By becoming a Whiskystats-Member you can not only browse our database but also gain access to various tools that allow you to analyse the secondary whiskymarket by yourself. And for those of you who do not have the time to dig in the data we publish our observations, thoughts, tips, tricks and data-updates on a regular basis here on the Board. So yes, this is about whisky, and yes, this is also about numbers. In the upcoming articles we will have a look at the different Scotch-Whisky-Regions, -Distilleries and -Bottlers. We will try to find out what it is that influences the price of a bottle and maybe try to estimate the market-price of bottles for which we have not observed any prices yet. You might have noticed that we do not intend to assess the taste of a whisky. On the one side, this is because we think that it is up to you to decide if you like what you are drinking or not. On the other side, there are many many (…) many resources out there which perfectly cover this topic already.